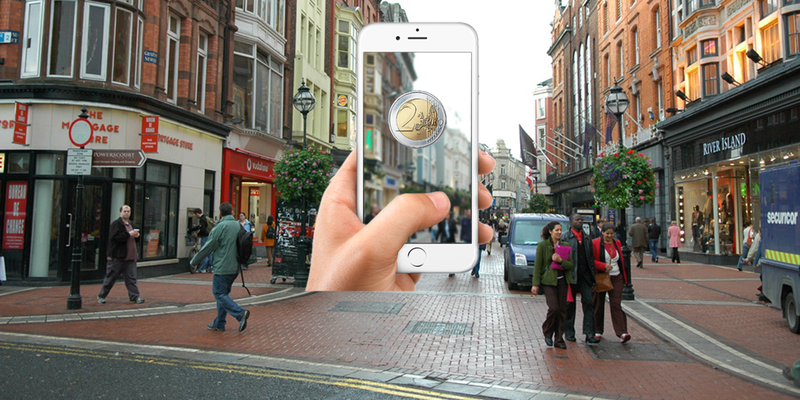 With augmented reality Ireland’s businesses need to be paying more attention. Its set to become big business. How big? Massive. That is, according to Business Insider, who have predicted seriously strong revenue growth over the next four years. I’m talking serious dolla’h. The kind of dolla’h that’d make your toe-nails weep. The total projection of revenue for both augmented and virtual reality for 2016 is, according to B.I (Business Insider): $5.2 billion. Using the year 2020 as a measure, they predict a jump of up to $162 billion. Therefore, this really does show how big a business this is going to be. When you consider not only light entertainment, but the practical, daily uses of both the hardware and software, we can be certain that it will infiltrate so many aspects of our day to day lives. Certainly, Niantic’s app ‘Pokemon’ Go is a perfect example of light-entertainment-augmented reality Ireland’s Poke-fiends have jumped on. Considering the app as a sounding board for future interest, the Irish market will have an insatiable hunger for this growing industry. These initials: ‘MR’ stand for Mixed Reality. The combination of both virtual and augmented reality is signified by these initials. The idea of a fully immersive, alternate, visual space denotes the virtual reality. In augmented, you see an alternate take on your present reality, with technological embellishment. Mixed reality is the combination of the two. The sort of hardware we will start to see being rolled out for the MR market will be headsets like Microsoft’s HoloLens. Magic Leap’s assuredly awesome roll-out in the near future will also be a serious player. This notable swing in revenue will be ultimately down to the development of more affordable pieces of hardware. As prices come down, unit sales amongst the general population will rise. This creates the undoubted pocket of opportunity for content creation for this kind of hardware and even for augmented reality Ireland’s businesses should consider. Because the development of Virtual and Augmented reality apps will feed the growth of sales for the hardware and the technology. There absolutely will be money to be made with app development for the industry. The advertising landscape on technology like this will also start to become clear and more fluid as it develops also. Irish businesses need to be able to jump on this trending technology at the latest feasible opportunity. In doing so, they would really maximise their brand and show to be at the cutting edge of today’s business and advertising world. The technology is such an interesting, engaging and just potentially fun idea. So, its best to be awake to it now.